Eating Carrots has a lot of benefits to Peoples' health. It is said to be that the Carrots found to be rich in Vitamin A, Beta-Carotene, C, K, and B. According to study, Eating Carrots are good for eyes sight and has the ability to promote regular bowel movements. Carrots are also known as the healthiest veggies on Earth. Did you know that there are other things that the Carrots can do to your health? Carrots are also very effective in treating asthma, coughs, colds and all other known respiratory problems. Recipe you could make out of Carrots here’s how. First, Cut carrots in slices. Put it in a water and boil it until it became soft. After that mashed the sliced carrots in a blender or by using fork (if you don't have a blender). Note: Boiled water that was used to soft the carrots must be stored in a bottle or any clean container. Then Add the stored water in mashed carrots. 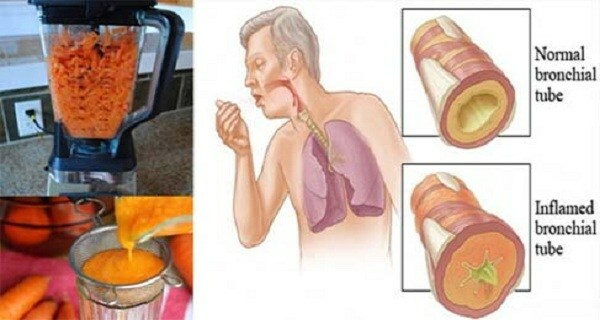 This syrup made up of Carrots and Honey will eliminate or remove a cough and phlegm. Take 3-4 spoons of it throughout the day.